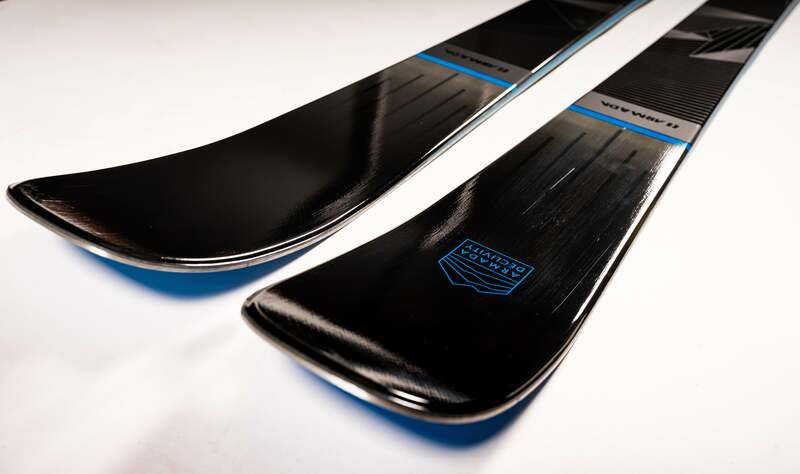 shiny new skis, boots, and bindings-the ones sitting in the ski shop today-haven&apos;t had a chance to collect one iota of dust yet, and here we are teasing you with a hint of what&apos;s to come for next season. But with all those gleaming buckles, shapely boards, free-flexing bindings, knee-saving devices, and other innovative doohickeys, we couldn&apos;t help ourselves. Don&apos;t think of this as unwrapping a Christmas present before December 25, because you can&apos;t play with these toys until next season anyway. So, go ahead...take a peek.